Friends of Science Society says the terror attacks in Brussels on the same day as the release of Canada’s “Climate-friendly” budget illustrates that terror is a greater threat to the world than climate change and that some climate policies are exacerbating world unrest. Friends of Science Society point to Liberal government policies and misinformed climate rhetoric from activist groups damaging Canada’s economic earning power on world markets. Almost a decade ago, then Liberal Minister for the Environment, David Anderson, called climate change a greater threat than terror. Tell that to the people of Europe today. Friends of Science Society is calling on the Canadian government to focus on terror as a greater threat than climate change, in light of the terrorist bombings in Brussels as reported March 22, 2016 by the BBC. The horrific bombings occurred the same day that the Trudeau government released its first budget, that will plunge the country into a $30 billion dollar deficit, triple that of the Liberal election platform, as reported in the National Post of March 22, 2016. Just last year President Obama called climate change a greater threat than terrorism as reported by ABC on Feb. 10, 2015 while others like Bernie Sanders claim climate change drives terrorism as reported by the Washington Examiner of Nov. 14, 2015¹. Kalmanovitch says, “As early as 2007, Jean Zieglar, the UN Special Rapporteur on the Right to Food (2000 to 2008) spoke out against biofuels as a ‘crime against humanity.’” These sentiments were echoed in Zieglar’s Nov. 26, 2013 article in The Guardian. A report issued by the New England Complex Systems Institute has shown that biofuels and commodities speculation have a direct correlation to civil unrest world-wide as published in the PNAS, Oct. 26, 2015. To compound the problem, the Middle East/North Africa region will need to create 100 million jobs by 2020, according to a World Bank report of 2003², where regional economies are moribund. 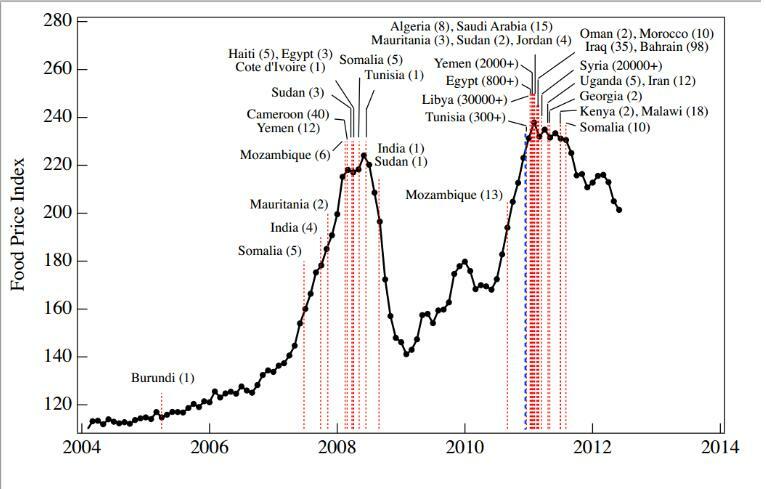 “These spikes in world food prices are significant contributors to the refugee crisis in Europe,” says Kalmanovitch. 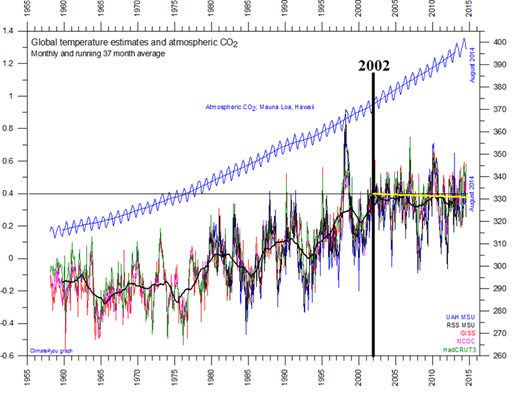 “Meanwhile, there has been virtually no change in global mean temperatures for the past 18 years." Friends of Science says almost a billion dollars a day is spent on climate change initiatives, trying to reduce carbon dioxide to prevent warming, when warming has stagnated naturally, despite a rise in carbon dioxide. A recent Friends of Science report entitled "Keep Canada in the Black" reviews how offshore funded and tax subsidized anti-oil activists have misinformed the public on Canadian energy industries. Friends of Science Society has spent a decade reviewing a broad spectrum of literature on climate change and have concluded the sun is the main driver of climate change, not carbon dioxide (CO2). Friends of Science is made up of a growing group of earth, atmospheric and solar scientists, engineers, and citizens. P.O. Box 23167, Mission P.O.